The Church of Scientology is the focus of new charges of potentially criminal wrongdoing in the death of a church member. 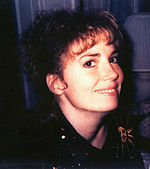 A federal lawsuit details allegations that the Church spent millions to influence judges and lawyers to scuttle homicide allegations in the death of Lisa McPherson in 1995. The allegations of corrupt practices are directed at known judges and lawyers, including the lawyer for the coroner in the investigation into the death. The former number two of the Church says that he believes the Church spent at least $30 million to get criminal charges dropped. McPherson died after being involved in a minor traffic accident. McPherson reportedly indicated at the time of the accident that she needed psychiatric help — a major taboo in the Church. Instead, she was allegedly taken to the Fort Harrison hotel for care by Scientologists. Seventeen days later she was pronounced dead. The family sued and demanded a criminal investigation. That led to a criminal charge against the Church for second degree felony for practicing medicine without a license as well as abuse of a disabled adult. However, the charges were dropped later after Pinellas Medical Examiner Joan Wood changed the cause of death from unknown to accidental. 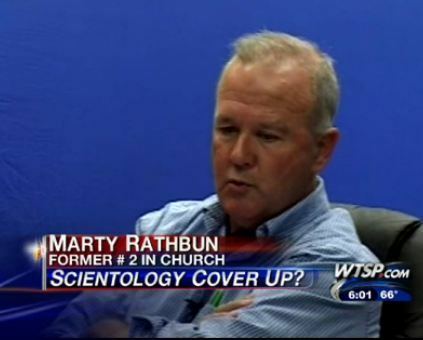 Then Marty Rathbun came forward with his disturbing allegations of corruption. Rathbun is the former second in command of Scientology. He claims that the Church spent millions to influence judges and politicians. He specifically details gifts to the Medical Examiner’s attorney, Jeff Goodis, to get him to help secure the change in the coroner’s cause of death. He also alleges ex parte communications with judges by Church lawyer and former prosecutor Lee Fugate. Jeff Goodis denies the charges. The lawsuit also names judges such as Judge Robert Beach. Our enemies are less than twelve men. They are members of the Bank of England and other higher financial circles. They own and control newspaper chains and they, oddly enough, run all the mental health groups in the world that had sprung up […]. Their apparent programme was to use mental health, which is to say psychiatric electric shock and pre-frontal lobotomy, to remove from their path any political dissenters […]. These fellows have gotten nearly every government in the world to owe them considerable quantities of money through various chicaneries and they control, of course, income tax, government finance — [Harold] Wilson, for instance, the current Premier of England, is totally involved with these fellows and talks about nothing else actually. Putting aside such matters, there remains the serious allegations involving lawyers like Goodis. If the account of gifts is false, there would seem ample grounds for a defamation lawsuit since this is a per se category of defamation involving unethical professional conduct. The same is true for these judges. Rathbun says that a personal meeting was arranged between Goodis and Scientology head David Miscavige and that they used actor John Travolta in the effort to woo those involved in the investigation. Medical examiner Joan Wood is expressly accused of yielding to pressure through a relative in the testimony below of Rathbun. While in court statements are privileged under common law defamation, Rathbun appears to have given interviews which would not be privileged. In the meantime, the lawsuit, if not dismissed, would allow for discovery that could prove problematic for the Church. Your title is incorrect. Rathbun never alleged that any judges accepted gifts. The lawyer that Rathbun accused of having ex parte communications with judges (Fugate) has filed a sworn affidavit stating he never told Rathbun he had such communications. This lawsuit was filed by Ken Dandar, an unethical lawyer who, at the time, was days away from being sanctioned a large sum of money for attorneys’ fees due to his breach of the McPherson confidential settlement agreement years ago. This lawsuit was his last ditch effort to garner sympathy from the media and the public. Dandar contacted Rathbun (who had made these allegations on his blog a year prior in August 2011), and examined him under oath for the sole purpose of delaying the state court proceedings in which he will be sanctioned up to 1M. 2. dismissing the state and federal cases with prejudice, each party bearing their own costs and attorney fees. I will proceed to timely file my Reply if I do not receive an acceptance of this very generous offer by 9AM, tomorrow. Yeah, I too got sucked in to trying to find the exact definition for the relation of those two words, gave up since I had to get back to work.